Available in either 32mm or 45mm gauge. Despite it's diminutive size, this is a suprisingly powerful locomotive. The high quality silver-soldered copper boiler is externally fired. The safety valve is pre-set at 40psi. A 3/4" pressure gauge and water gauge glass allow the owner to keep an eye on what's going on in the boiler. Steam output is controlled by a separate screw-type regulator behind. Steam is distributed to the two outside cylinders by a reversing block - all high quality machined components. Janet is also fitted with a displacement lubricator with drain. 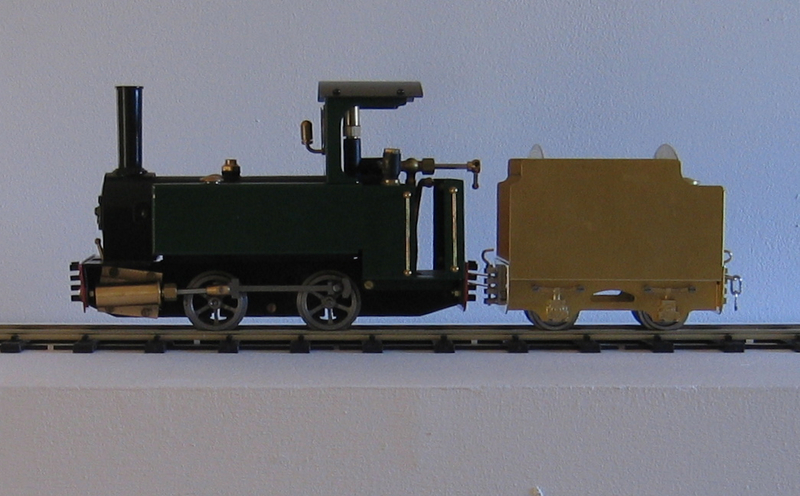 To the right is a similar view of a Janet fitted with the optional cab (see RWM Steam Upgrades Page for details and another photograph). 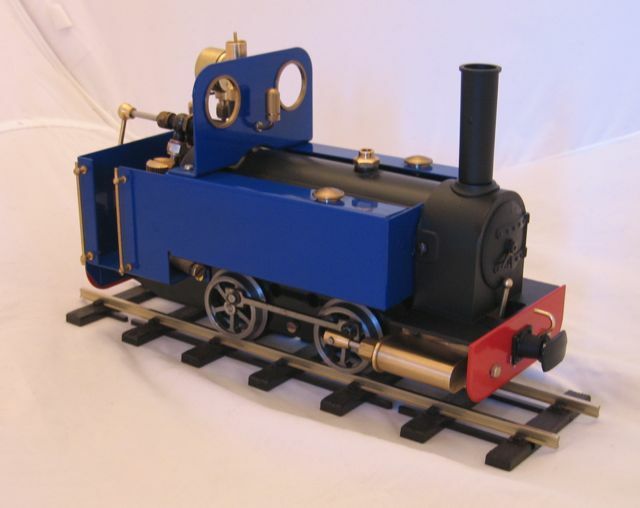 I think this possibly makes Janet an even more attractive and 'different' locomotive. This is a new project created by Rob Bushill of Swift Sixteen. Very solidly etched from 1.2mm brass with well detailed brass castings. The specially produced 24mm diameter steel wheels are also available separately: £11.50 per set of two axles. These can be to either 32mm or 45mm gauge and are on 1/8" axles. Subject to availability of suitable paint, tenders can be supplied completed and painted. A limited supply of powder-coated tenders to match standard Janets are available. Also available is an optional 'cut-away' cab rear to give the driver access to the tender - see gallery page for examples. 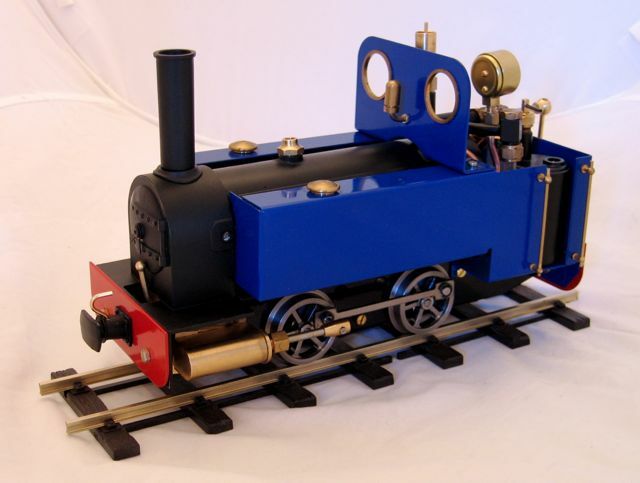 Don't forget to specify colour, gauge and other specifications when ordering locos or tenders. 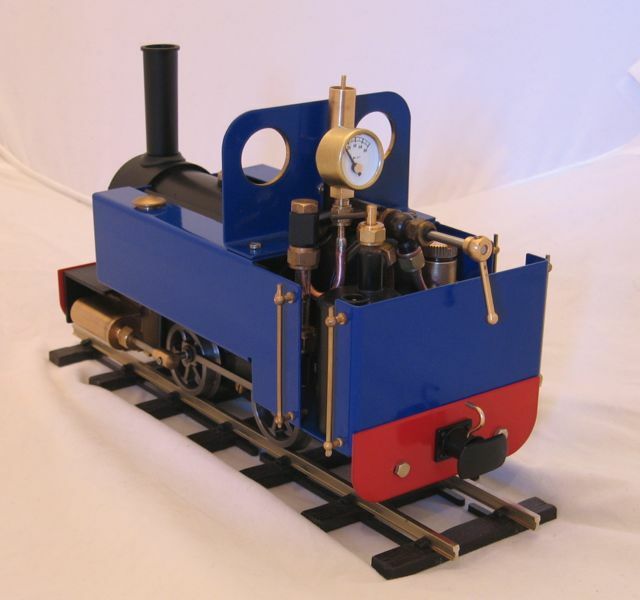 Although of a freelance design, Janet is representative of many small industrial type locomotives seen on many of British narrow gauge railways. 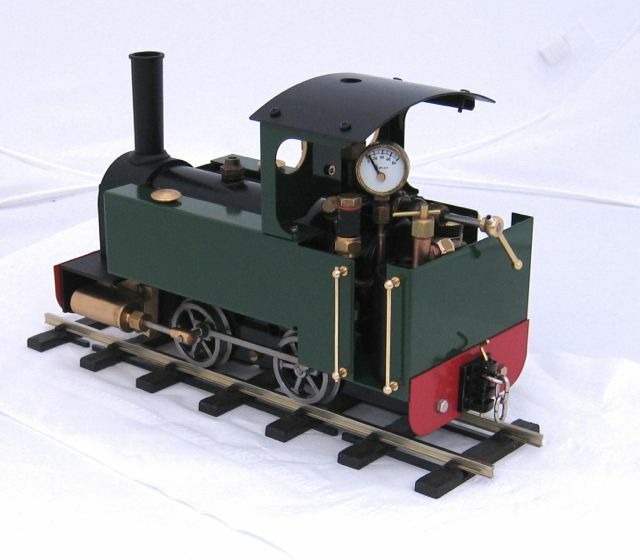 Janet is available in either 32mm or 45mm gauge. 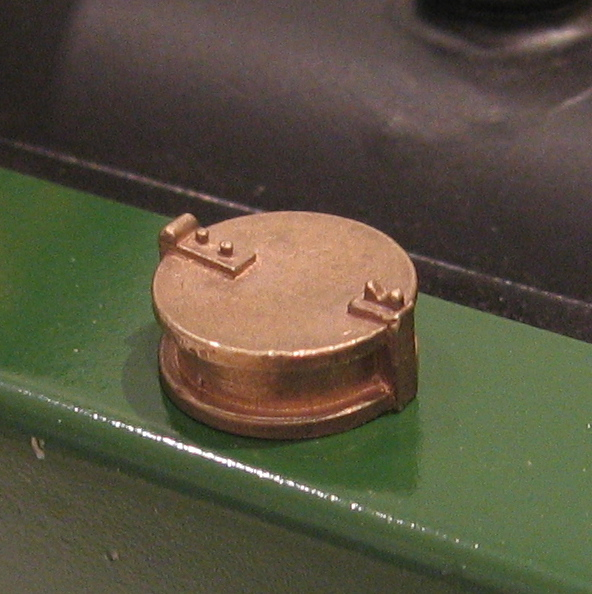 It is not gauge adjustable so the required gauge must be specified when ordering. The tough powder-coated finish is available in blue, maroon, green or black. There is a choice of wheels: spoked as shown above or plain discs. Janet is also available with centre-buffer type couplings as above or with multi-height couplings shown to the right. These atttractive and practical couplings are ideal when coupling to stock with a variety of coupling heights, particularly tippers. These lost wax brass castings, a more accurate representaion of a tank filler than the standard turning, are now available. They are in two sizes: 12mm dia intended for Janet, Jane or Mamod side tanks and 16mm dia intended for the new tender. 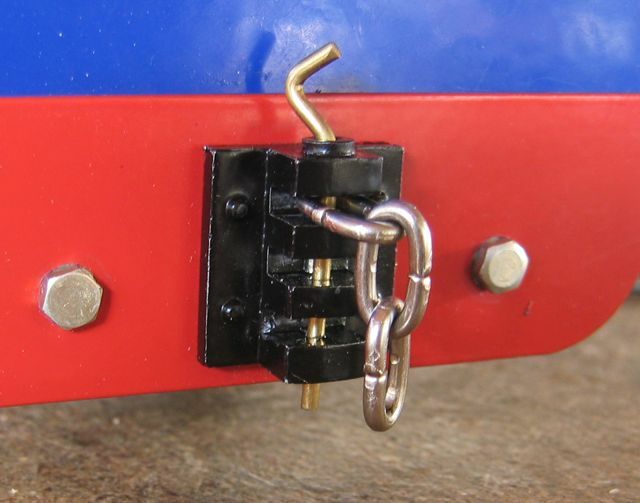 They are of course equally suitable for any locomotive or tender. 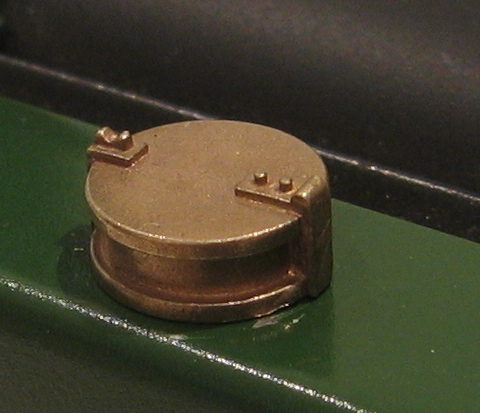 Etched 'rivetted' buffer beam overlays suitable for Janet, Jane and Mamod. Also available is one for De Winton. Like to order a Janet? Click here to see how.